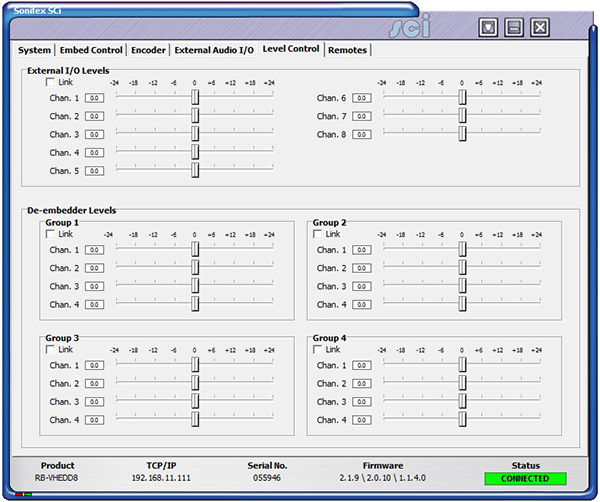 RB-VHEDD8 3G/HD/SD-SDI De-Embedder, Dolby® E Encoder & Re-Embedder. 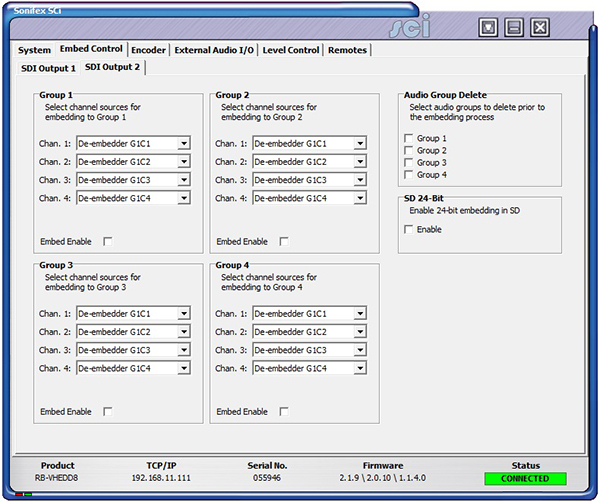 The RB-VHEDD8 is an SDI audio de-embedder and re-embedder with Dolby® E Encoding capabilities. Dolby E encodes up to 8 channels of audio into two channels of an AES digital audio stream which is then embedded onto any of the available groups within each of the two video output paths. The encoded Dolby E bitstream is also available via a dedicated output on the rear panel. 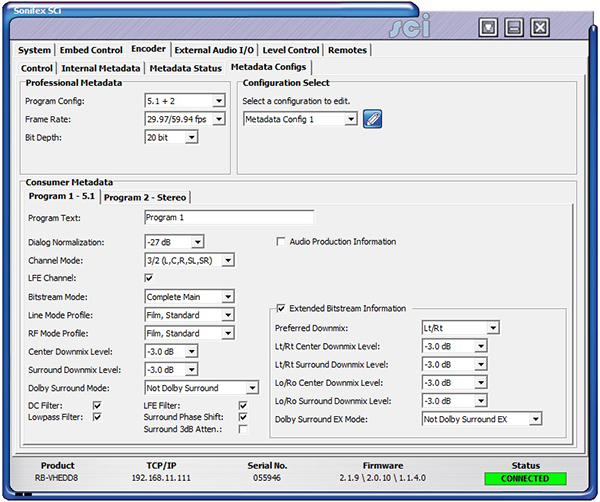 The audio inputs to the Encoder can be selected to come from the external digital audio inputs via the BNC or D-type connections on the rear panel or from embedded audio contained in the incoming SDI input. 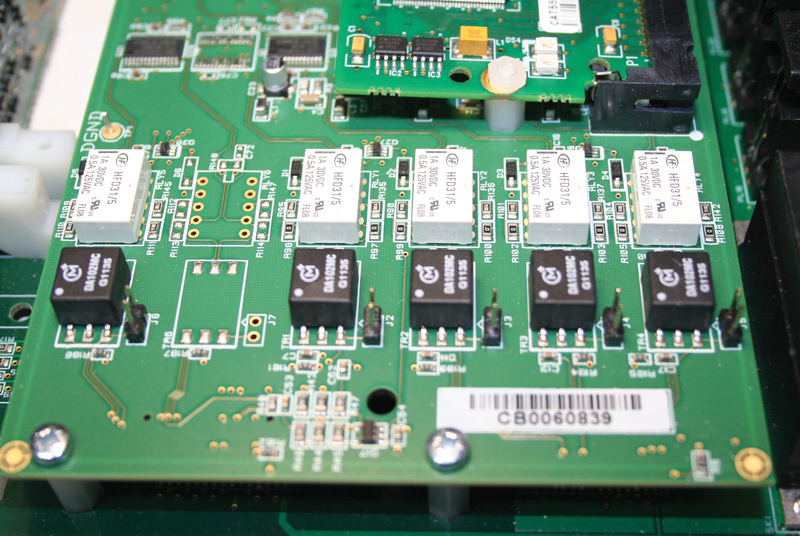 The outputs from the de-embedder can also be re-embedded into the video outputs, along with the encoder inputs. 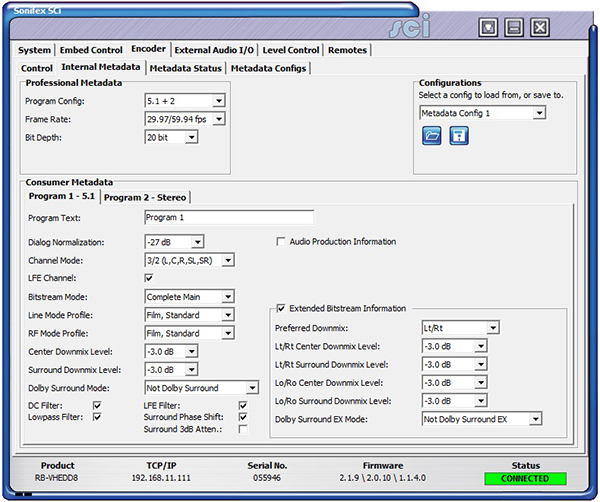 The digital audio I/O connections are transformer-coupled balanced line interfaces and can be configured to be either 75Ω (AES 3ID) or 110Ω (AES 3) impedance through either a BNC or via the D-type connector. 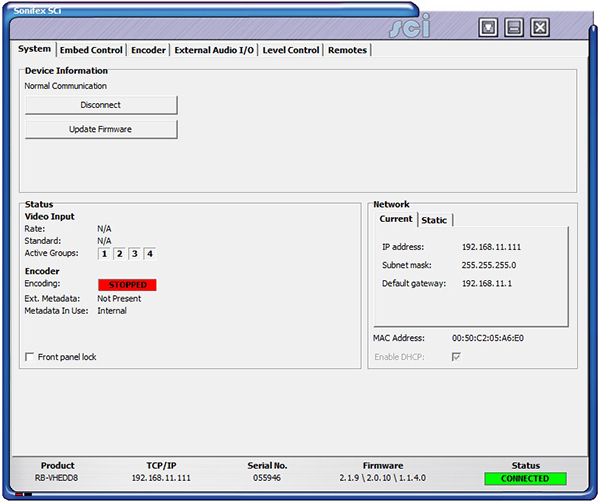 These connections are paralleled, allowing one type to be used per input or output. 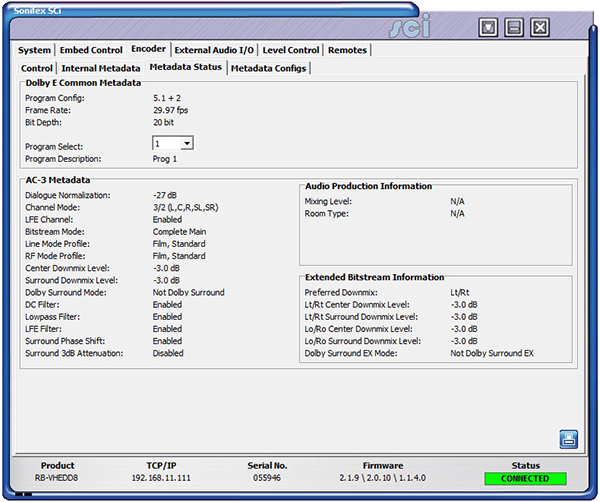 The metadata used for the encoding process can be selected to come from either the external 9-pin D-type on the rear panel, from metadata embedded into the vertical blanking area of the video input (SMPTE 2020), or by settings stored internally. There is also remote I/O available from the rear panel through a 25 way D-type connector. These are fully configurable. The unit is controlled locally through the front panel display but can be remote controlled via an Ethernet connection using the Sonifex SCi software. 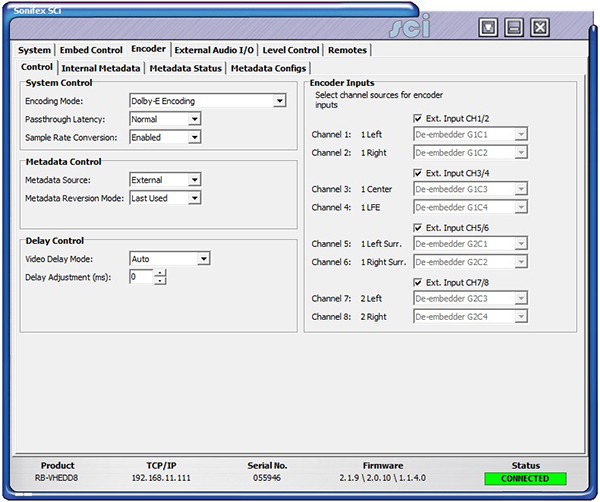 There is independent level control for every channel, which can be adjusted from -24dB through to +24dB in 0.5dB steps. 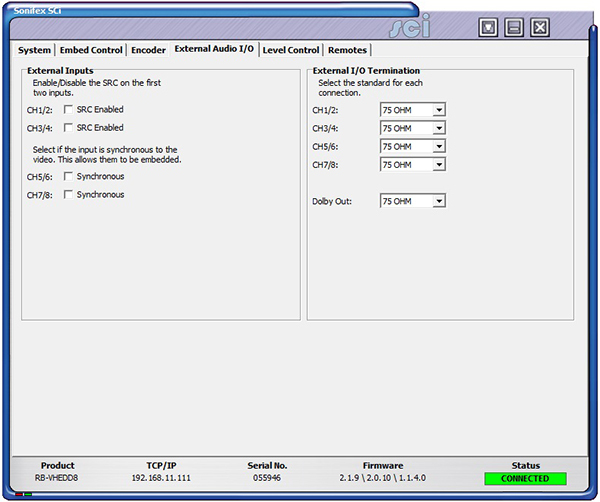 Encoder Internal Metadata Configuration Screen. 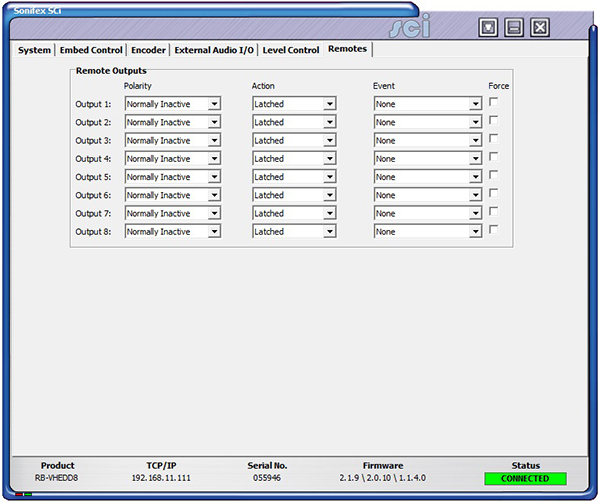 Encoder Internal Metadata Status Screen. Video Delay: 1 frame when frame rate <= 30 fps, 2 frames when frame rate > 30 fps.